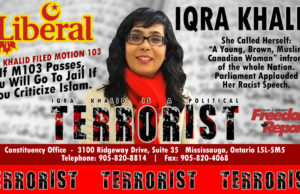 The Liberals’ anti-Islamophobia motion, M-103, could lead to thought control, oppression, disharmony and the criminalization of non-Muslims, the House of Commons heritage committee heard Wednesday, during some of the most extreme criticism of the motion it has heard to date. It was a hearing that showcased much of the confusion and polarizing rhetoric that has swirled around M-103 since it was tabled by Liberal MP Iqra Khalid in December 2016, and highlighted doubts about the language of the motion. 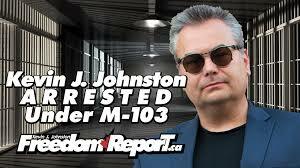 While the committee is supposed to be gathering recommendations for how to combat racism, several committee members spent much of their time trying to explain what M-103 actually means. Liberal MP Julie Dabrusin was at pains to clarify that the motion is not a law, that the committee is not drafting a law and that the committee’s recommendations won’t create a new law. The committee is currently conducting a study of racism and religious discrimination, as required by M-103, which was passed in March. “We’re just doing a study,” said Liberal MP Julie Dzerowicz.